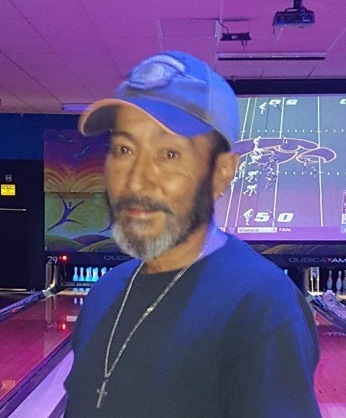 Roel Vasquez, 57, of Bryan passed away Thursday, January 31, 2019. Funeral Services are set for 3PM Monday, February 4 in the Chapel of Trevino-Smith Funeral Home. Burial will follow in the Bryan City Cemetery. Visitation will be from 5-8PM Sunday, February 3 with a 6PM Service also at the Funeral Home. Born September 9, 1961 in Alice, Texas he was the son of Guadalupe and Maria Anita (Trevino) Vasquez. Roel loved to ride his Harley, he was a great pool player, he liked to dance and B.B.Q. He enjoyed spending time with his family. He was a loving father, grandfather, brother and friend and will be deeply missed by all who knew him. He is preceded in death by his parents; wife of 30 years Estela Christina (Trevino) Vasquez; and one brother, Ruben Vasquez. Roel leaves behind to cherish his memories, two sons, Joel Vasquez, and Guadalupe Vasquez and Harley Parks; one daughter, Maria Vasquez and Francisco Cruz; two sisters, Belia Garza and husband Valdemar, and Lupita Garza and husband Erique; and nine grandchildren, Tatyana, Maria, Juan, Angelina, Soledad, Lucio, Lucero, Gabbriella, and Noahh.